Summer Fishing Tips & Ideas For This Holiday Season! Summer is here, and what better way to spend it than on the water! With perfect conditions, great water temperatures, and plenty of spare time, this summer is the time to be capitalising on the great outdoors. And to help you do it, we have gathered a few of our favourite summer fishing tips. Fishing is all about reading the conditions, and it’s no surprise that the conditions are very different in summer. If you can get a handle on the summer fishing conditions around you, then you can get among some of the best fishing of the year! Before we get to the summer fishing tips, it’s important to make sure your trailer is ready to go! If you’re anything like us, this time of year has you permanently excited. Just thinking about all the fish that are on the move in this warm weather is enough to make us all drop everything and hit the water. But before you do, you need to get prepared! Fishing and preparation go hand in hand, so take some time to get everything in order. Rigging the rods, getting the bait and making sure your boat is in order are all important steps. But there is one that always seems to be overlooked: your trailer! If you have a trailer or boat loader, it’s the one thing that you need to get on the water. So give it some love! 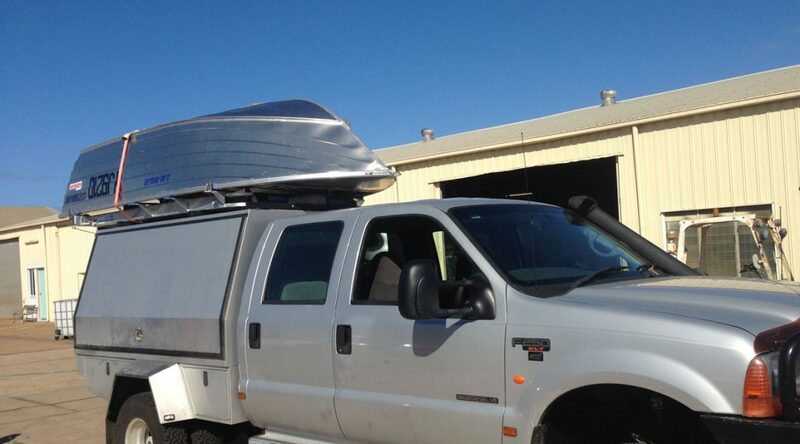 Before your next trip look at getting a new aluminium boat trailer or boat loader. It will place you in good stead to enjoy the rest of your summer’s fishing, without incident. Now that we have covered the administrative tips, let’s get into it – starting with water temperature. Water temperature is the defining feature of summer fishing. As that winter water warms, the fish are going to move accordingly. As a general rule, the estuaries fire up in summer and species like mangrove jack really start getting aggressive. But offshore, things are a little different. The shallower reefs can get a bit quiet in the depths of summer, with some species preferring their water a little cooler. So if you encounter a slow bite offshore, try going a little bit deeper – the results will probably speak for themselves. So we mentioned the estuaries before – but there’s more to know! Estuaries are your go-to summer fishing spot, and a lot of summer fishing tips are centred on them. And again, it’s the temperature that really makes all the difference. But the warmer water can work against you on those really hot days. Sometimes, direct sunlight can really heat up the still shallow water. This will often see species such as flathead moving off the sandbanks a little bit and into the slightly deeper waters. Our advice is to look for a run out tide and fire off a few soft-plastics along the deeper edges of the sand banks. Get into the live yabbies – the whiting are out! The whiting are out, and they are a summer favourite! If you are going land-based with the kids this summer, our favourite summer fishing tip is yabbies. Pumping for yabbies is normally enough to get the kids excited, even before the fish have made an appearance. But make sure you remember the sunscreen! Those sand flats are notorious for sunburn. For those with a boat and the time to use it, summer means mackerel. And what could be better than spending a beautiful day on the water pulling in some of the fasted and most fearsome fish in the sea? Our advice is to get a nice spread of lures out, or float a pilchard on some ganged hooks while you bottom-bash. Both are proven techniques against the mighty mackerel, and they’re sure to return some favourable results. For all your boat trailer needs, contact Almac Trailers today on (07) 4152 3737.